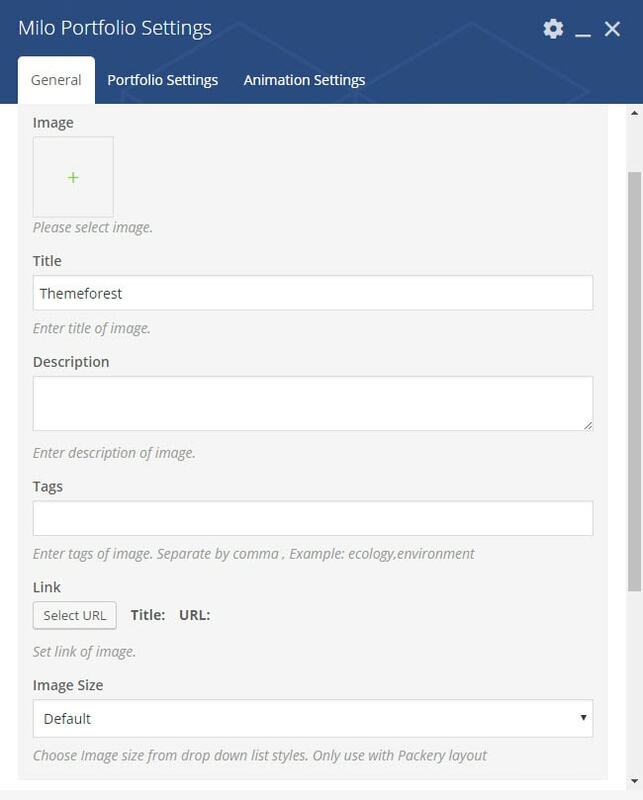 Working fine with Visual Composer or any theme. Minimal Portfolio shortcodes to help you display your work quick and beautiful. Thank you for purchasing our plugin Portfolio Minimal Shortcodes for Visual Composer. Portfolio Minimal Shortcode for Visual Composer has been released which fully support for you to display your portfolio project, gallery and more of your work with many layout and hover effect style. It is a fantastic plugin to show your projects, image gallery and will help you resolved almost problem to display and introduce about your work. This plugin with many shortcode and option to help you easy customize product display as you want. If you want to suggest other feature or option please post it on our Support site. If you are satisfied with our Portfolio Minimal Shortcodes plugin for WordPress, please take a moment to rate 5 stars and leave some sentences for review, it means a lot to us. 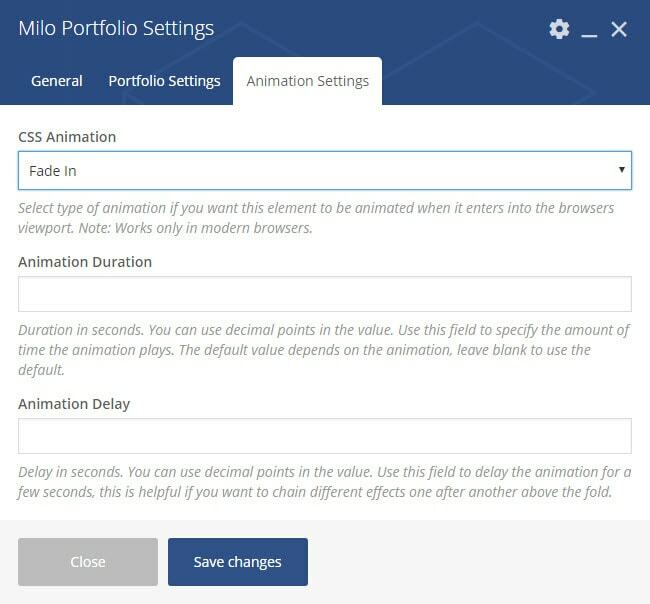 It’s awesome to know that you decided to purchase Portfolio Minimal Shortcodes. No doubts, you will join our happy customers community in seconds! You must installed some required plugin to make sure our plugin working fine. After purchasing Portfolio Minimal Shortcodes, please download the package from ThemeForest. In the package, you can find things like documentation, license, zipped file with plugin files and folder with plugin files. Please unpack the whole package after downloading it from ThemeForest. Step 4: Activate the newly installed plugin by clicking the Activate Plugin button. Note: If you have any problem when installing Portfolio Minimal Shortcodes via WordPress upload please contact us at our support forum. Step 2: Unzip the milo-portfolio-shortcodes.zip file (usually is Extract Here if you use WinZip or 7Zip). 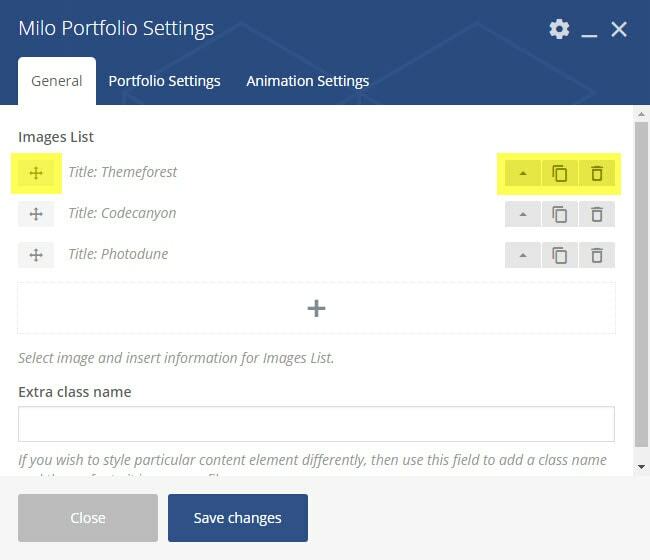 Step 4: Upload Portfolio Minimal Shortcodes plugin folder into wp-content/ plugins folder on your server. Step 5: Go to Plugins >> Installed Plugins and choose new plugin has just installed and clicking the Activate button to active. 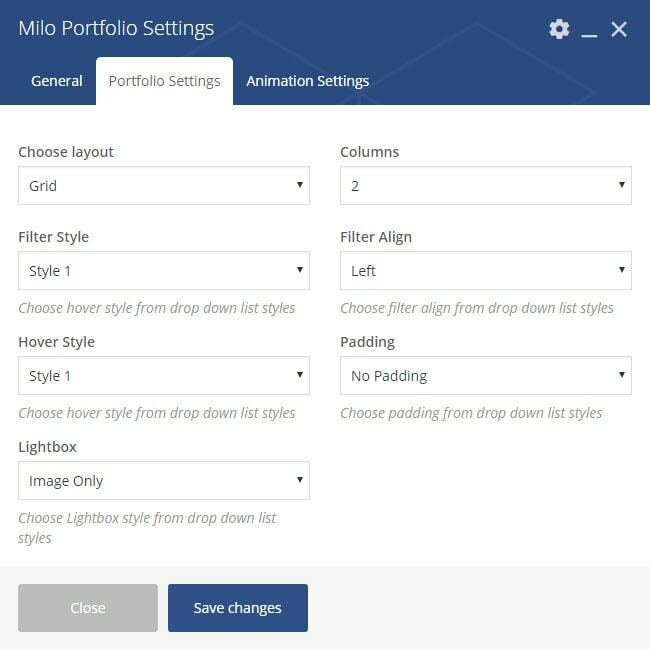 This plugin will help you show Portfolio Minimal shortcode by Visual Composer Page Builder. Step 5: Select shortcode you want to display and configure. Our plugin is a WPML – compatible and multi language ready theme. We suggest 2 ways to translate our plugin.